Liquid Handling Products Inc stocks and ships several premium brands of pumps that are ideal for various Agriculture and Industrial liquid applications, with options including, pump only, pump with gas engines, pump with electric motor, pedestal pumps, chemical pumps, hydraulic pumps, wet seal pumps, c-flange pumps, cast iron pumps, polypropylene pumps, stainless steel pumps. 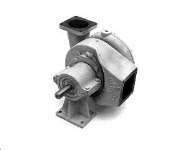 Liquid Handling Products Inc also stocks and ships the Defco&REG; brand pumps listed below. Defco Manufactures Pumps in Custom Sizes and Configurations. Call the helpful experts at Liquid Handling Products Inc.
Split pedestal for ease of removing pump, yet maintains alignment; also, Discharge may be turned to any posistion by simply moving the pump assembly - base remains stationary. Impellers are threaded on for easy removal. Standard Seal Carbide/Ceramic, Viton, Stainless Seals for special applications are available. Open Adapter Construction, Liquid can not reach Bearing. Available in PTO, Hydraulic or Belt Drive. Operating range is from 1725 RPM to 3450 RPM; speeds up to 4000 RPM, maximum. Here is a low cost, high capacity (1000 + GPM) pump that is excellent for in-plant, field, transfers or mixers and is adaptable to most industrial applications. 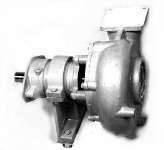 It handles sludges, semi-solids, dirty, nasty liquids and is available with metering impellers or clogless impellers. 4" NPT inlet and 4" NPT outlet. High Volume! Head Pressure up to 350 Ft! 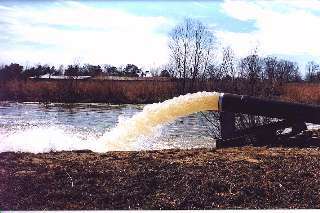 Standard Sizes up Through 8"
Pump Water, Sludge, Slurry Suspensions, Liquid Chemicals, etc. 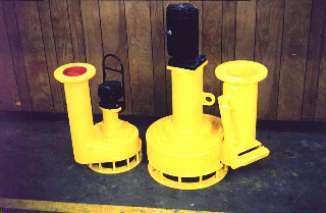 Defco Pumps Can be Custom Manufactured To Your Specifications.